8 Years old Black Chi discarded like trash by his "family"
8 YEARS OLD BLACK CHIHUAHUA SWEET DOG TREMBLES IN THE CORNER CODE RED! This boy is very sweet but is absolutely terrified at the shelter. There is nothing quite like the sting of the pain of rejection. 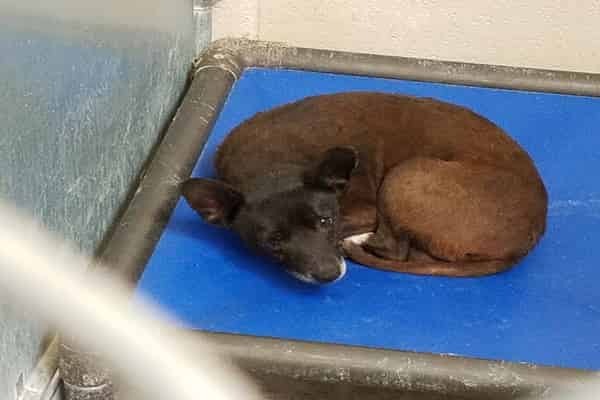 When you first meet Fritz, a 8 Years old Black Chi who now makes a living at the Roswell Animal Control, the first thing that comes to mind is how sad she looks. Fritz, who has been in the shelter for less than a week, seems to know all about what could possibly happen if he doesn’t find a home and quick. 0 Response to "8 Years old Black Chi discarded like trash by his "family""